In 2019, you can join SCHELDE SPORTS on its worldwide journey in basketball events! Coming up is the 3x3 World Tour, 3x3 World Cup and the FIBA World Cup. 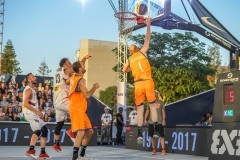 3x3 World Tour 2019 The flagship competition of the professional FIBA 3x3 season is the 3x3 World Tour. In 2019 the tour will hold a record 11 dates, starting in Doha, Qatar in mid-April and ending with a grand finale in Utsunomiya, Japan. Of course, SCHELDE SPORTS’ SAM 3x3 will be used in all games.